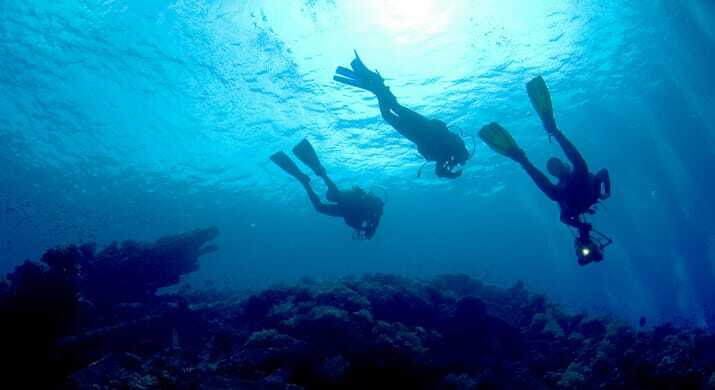 Of all the diving offered on the East coast of Thailand, Koh Tao has the better of it. 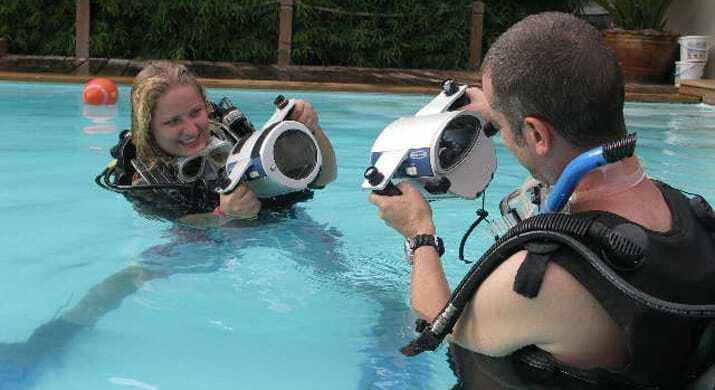 It is a cool paradise for those wanting to do their initial course or already certified divers continuing their education. It's not a lie, when said that Koh Tao is addictive. Backpackers usually end up staying for weeks. The reef has taken some damage from the tourism, but due to a massive effort to protect and rebuild the reefs, the corals and the fish life is doing really well. 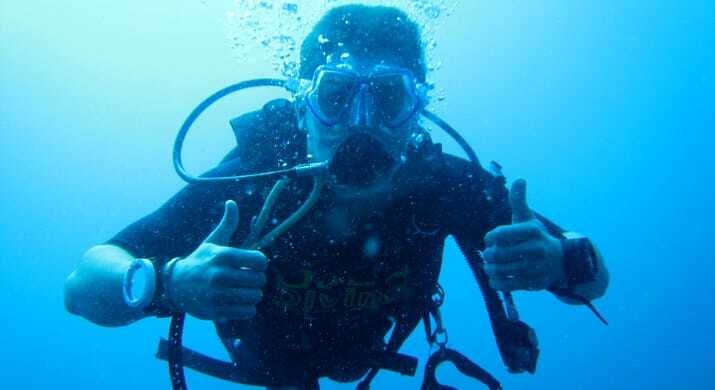 Koh Tao is now offering some really good diving for divers on all levels. 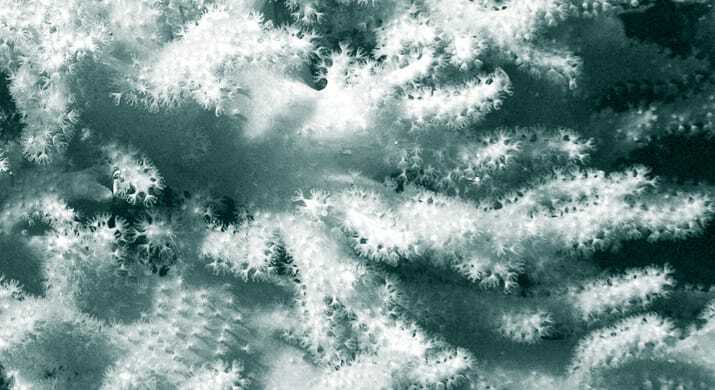 Many dive sites are sheltered reefs with beautiful corals, good visibility, shallow depths and little to no current, which provides the perfect dive sites for beginners. Most sites are reached in less than 20 minutes by boat. 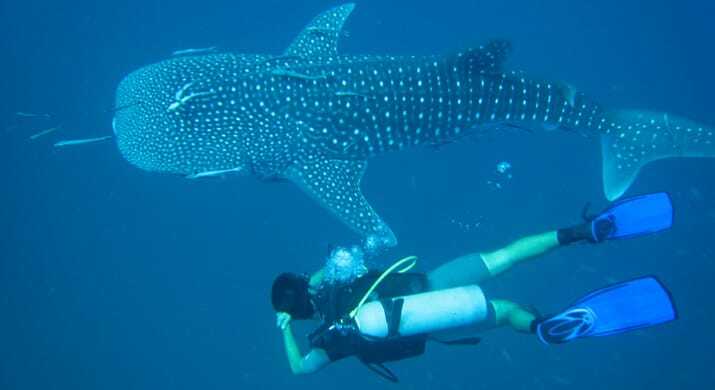 All year round lucky divers are encountering Whale-sharks, Rays and Turtles. 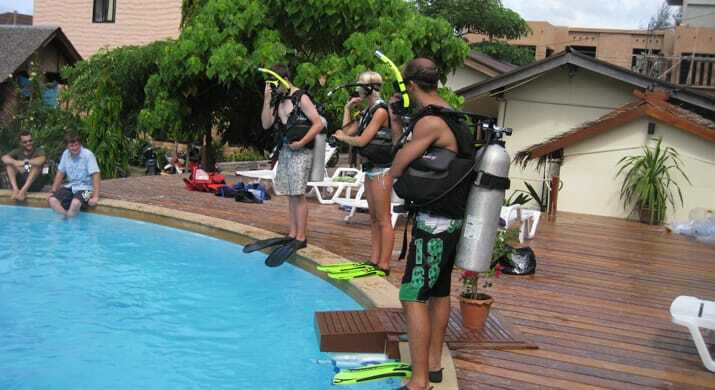 Together with your instructor you will begin your adventure in diving in the best possible way. You will experience a course that is easy, fun and incredible giving with some very special marine life to spice up the whole adventure. Above water Koh Tao is a cozy little island surrounded by warm clear turquoise waters. 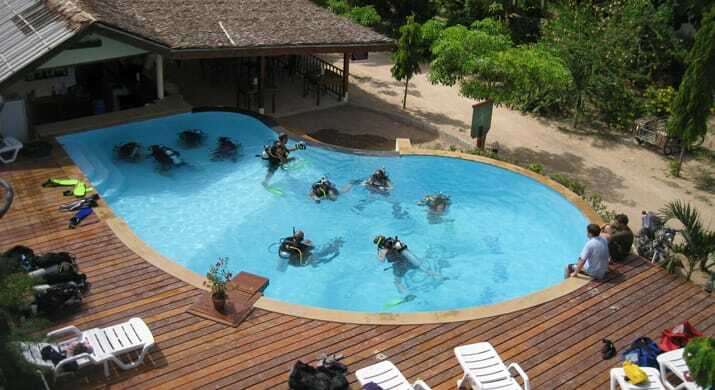 It is by far the most popular spot for dive training in South East Asia. 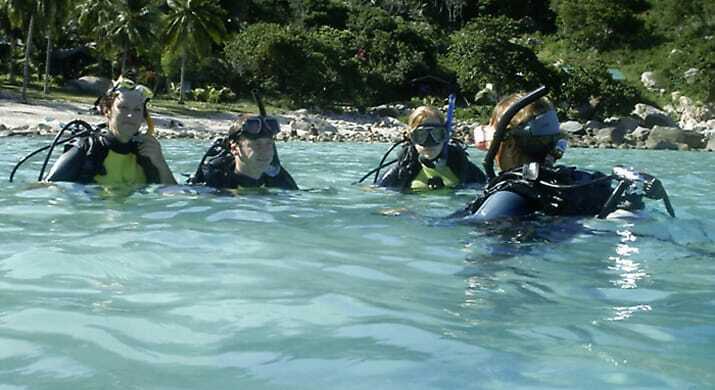 Diving here is possible year-round, with just a short rainy season during October/November. The island is also very famous for its own nightlife and for the full moon parties on the neighboring island Koh Pagnan. Koh Tao is a true pearl in the ocean with white sandy beaches lined with palm trees and several secluded bays for you to chill at. The atmosphere is like nowhere else, people come to dive, party and hang out in bamboo bars and fluffy beanbags. It can be hard picking the right accommodation when arriving on Koh Tao, the options are many and the price range is broad. 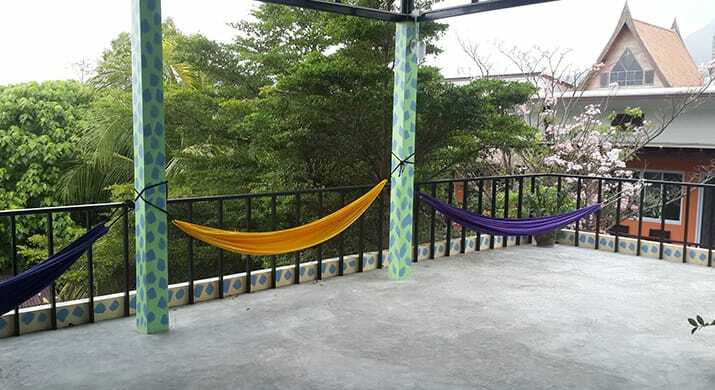 We have based this package on a budget friendly hostel, right next to the dive center... to make sure that those on a tight budget, gets certified and goes diving with a top professional dive center. 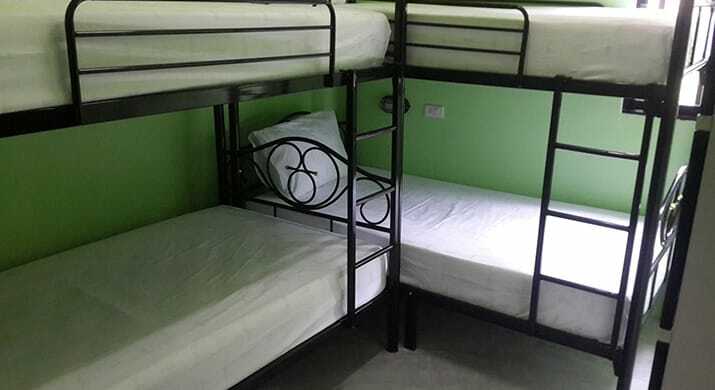 You will be sleeping in an 8 bed dormitory, where girls and boys are not mixed. It is clean and has 2 great common areas, where you can hang out with other guests. 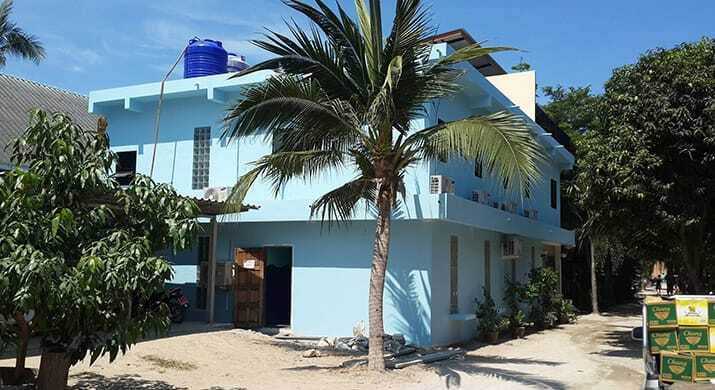 The hostel is right next to the dive center and you can use all the facilities including the swimming pool, restaurant and bar. 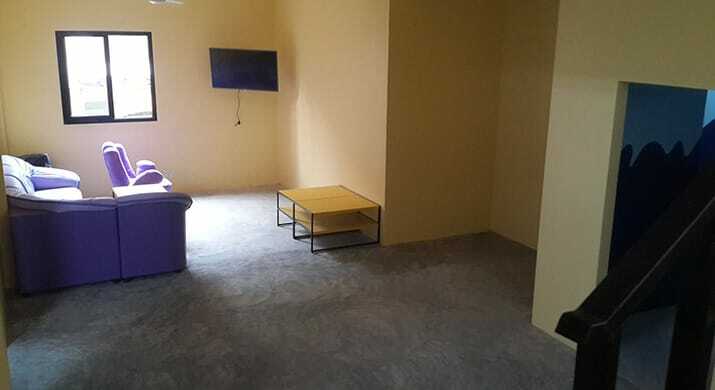 8 bed dormitory with Aircondition. LEARN TO DIVE - BUNGALOW - MEALS INCL. 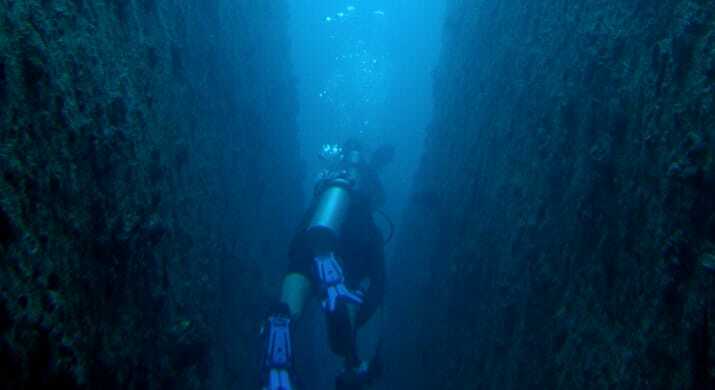 LEARN TO DIVE - NO ACCOM.